The majority of the Albanian population in Kosovo and Albania is Muslim due to the Ottoman Empire’s conquest and rule for almost five centuries. 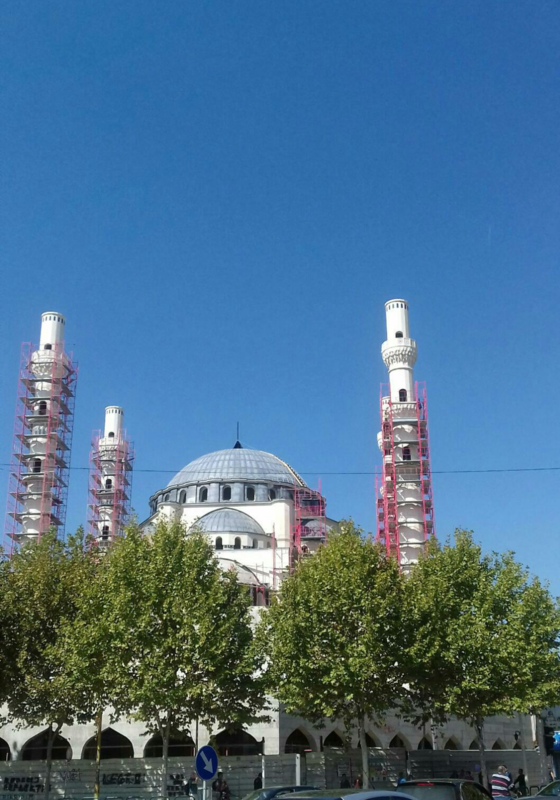 Through time, Albanians have evolved to perceive Islam as part of their identity, especially in Kosovo, where people are more religious than in Albania. However, that reality is due to their everlasting conflicts with Serbia, as Kosovars desired to distance from Serbs in every aspect, including religion. 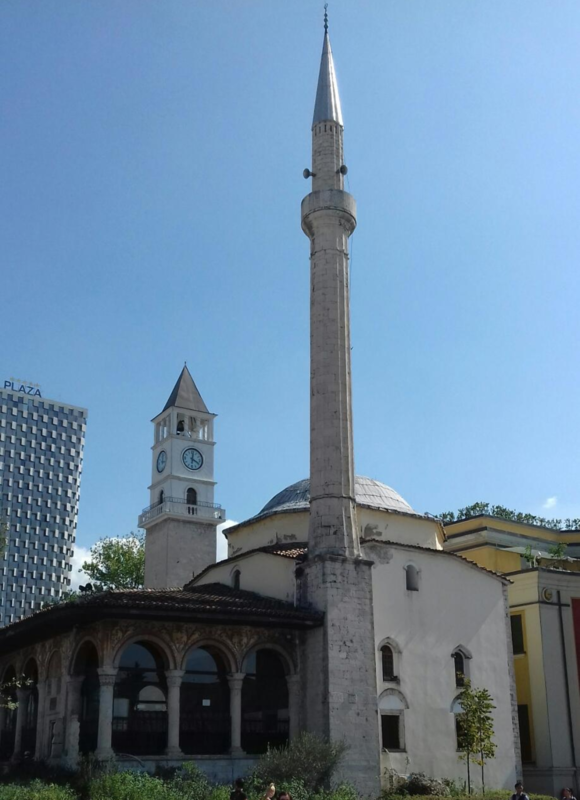 Religious institutions in Kosovo, especially Islam, have always served to support the country’s freedom. This mostly prevailed during the 1990s, when Kosovars attended religious services, but their main preoccupation was the country’s liberation from Serbia. What about today? Some analysts believe that Turkey’s influence through Islam is increasing and this is considered a more efficient conquest than that of the Ottoman Empire. During the rule of the sultans, the idea of being different prevailed in the Albanian regions, hence the political and cultural national movement during the end of the 19th and the beginning of the 20th century, which resulted in a definite division from the Ottoman Empire with the proclamation of Albania’s independence. The motto of the liberation movement was “Albanian religion is Albania”, especially in Kosovo, which remained under the Serbian territory. During the communist regime, religion was forbidden. After the 1990s, being a country with four religions always living in harmony with each-other, religious influences in the political and social life of the country have been weak. In Kosovo however, Islamic influence is felt more, though the country is never known for political Islam. 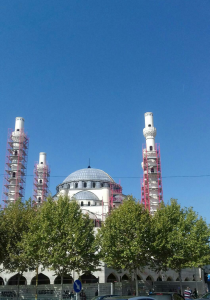 Kosovar Critics think Turkish past influence was physical, while nowadays it is more spiritual, cultural and moral. Through Islam, Turkey is exploiting the traces of the Ottoman past that are still present in Kosovo. Erdogan is taking advantage of the EU’s refusal to include the Balkan Muslim countries in the union, offering the possibility for the creation of a pure neo-Ottoman Empire, based on Islamic absolute morale. 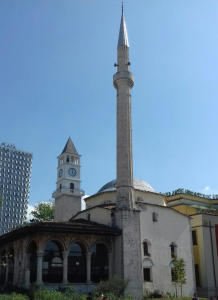 Through Islamic instrumentalism, they try to attack the democratic institutions of the Kosovar state; there are even religious services performed in state institutions, violating their laic aspect. There is some kind of servility towards Turkey, as a friendly state. Erdogan is behaving as a miniature sultan nowadays. His plan to get rid of Gulen’s collaborators from educational institutions in Albania and Kosovo, forcing governments of these countries to close such schools and deport “terrorists”, blaming them for the last coup d’état in Turkey, showed once more Erdogan’s efforts to interfere in the internal issues of both countries. The Albanian government, despite friendly relations with Turkey, did not take into consideration such a request. In Kosovo, however, the current PM Haradinaj dismissed his interior minister, after the latter obeyed Erdogan’s order, thus cracking friendly relations for the first time. In general, there is no governmental sharp reaction against Erdogan, although Kosovar-Turkish friendly relations do not impact the state and the rule of law. Over time, Kosovo’s tolerance towards Turkey’s interference is causing some of today’s clashes. In Kosovo, there are some radical groups that try to send young people to join ISIS. In one of the mosques, a Turkish imam has spoken about “divine acts” of Turkey and Erdogan killing Kurds for abandoning Allah. There has been no reaction from Kosovar’s institutions. The real intensions of Erdogan’s peaceful conquest of the Western Balkans are hidden under the “friendship” mask. He has opened many war fronts in the Middle East, in Aegean Sea and East Mediterranean, showing his military strength. 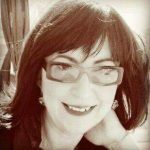 Is it possible that the efforts of the Turkish President will manipulate ethnic Albanians through religious radicalism? In a recent article published in the “Cathimerini” Greek newspaper, it is stated that Erdogan’s efforts with Albanians have gone too far, attacking a very sensible topic – their nationalism. Albanians may welcome Turkish investments and money to build mosques, but very few want to live under Erdogan’s democracy. The majority of Kosovars have their eyes set on the West, where they see their future and that of their children. According to the Greek newspaper, Albanians are the only people in the Balkans who can stop Erdogan from further extending his influence in the region. Even for the Muslim Albanians living in Macedonia, the approach is more European. During a recent visit of Erdogan to Macedonia, the head of the largest Albanian political party in the governmental coalition and his ministers did not accompany the Turkish president while touring Albanian Muslim areas. The general opinion that prevails among Albanians, especially Kosovars, is that radical Islam undermines their national identity. As long as Albanians strive for this and want to integrate into the EU, their future will belong to the West. The EU has to decide without delay to embrace them.